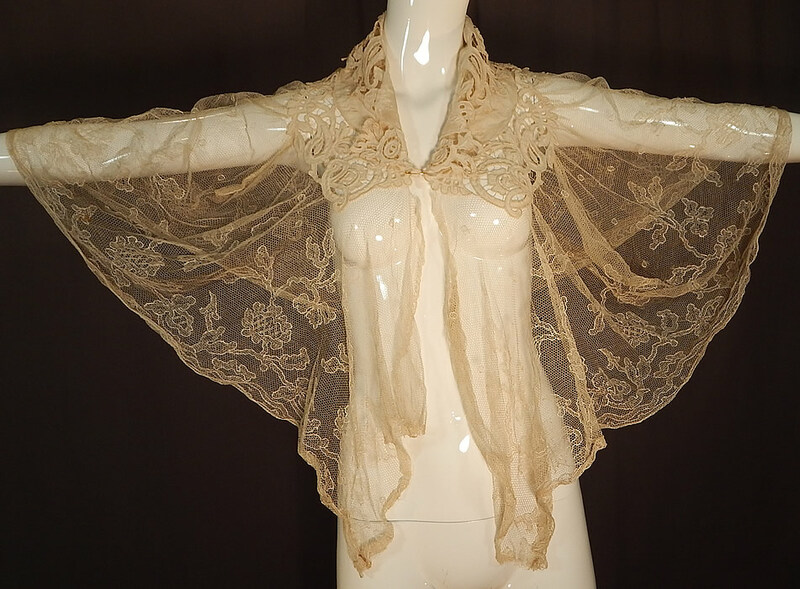 This antique Victorian era embroidered cream tulle net lace shawl collar wedding cloak cape dates from 1900. 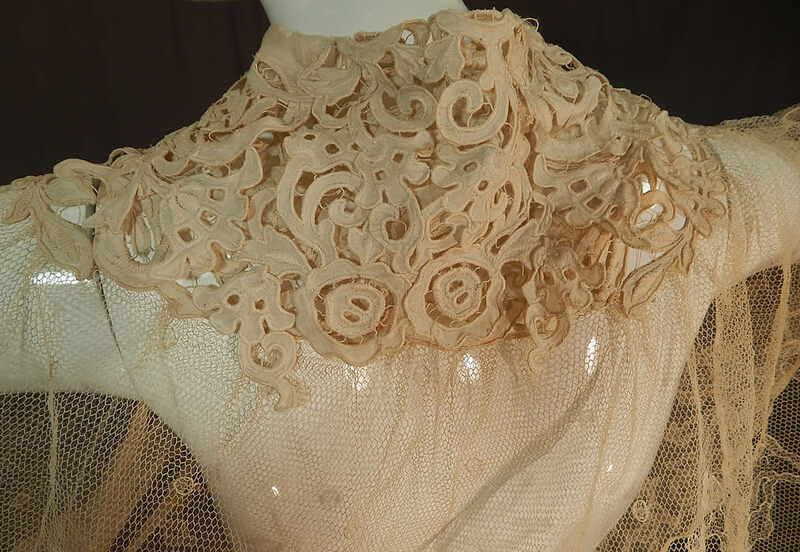 It is made of an off white cream color sheer fine tulle mesh net fabric, with embroidered stitched flowers, vine leaf designs and a cotton batiste embroidered drawn cut work collar trim. 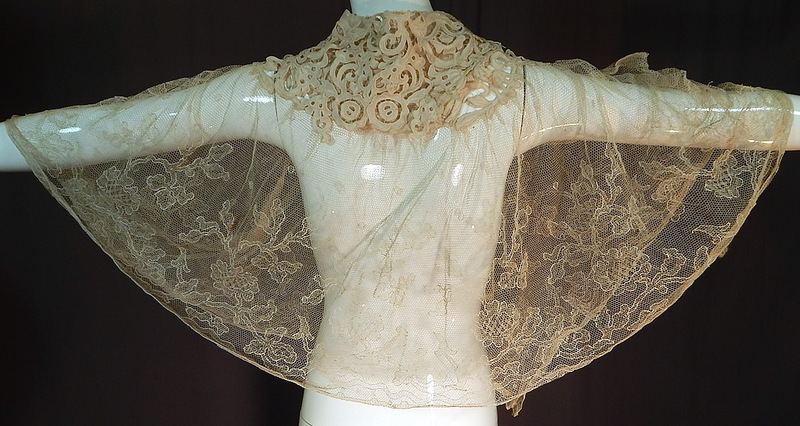 This beautiful bridal wedding cloak cape is mid length, has a fold over shawl collar yoke trim, with no closure, an open front and is sheer, unlined. The cape measures 25 inches long in the front, 18 inches long in the back and 16 inches across the back shoulders. 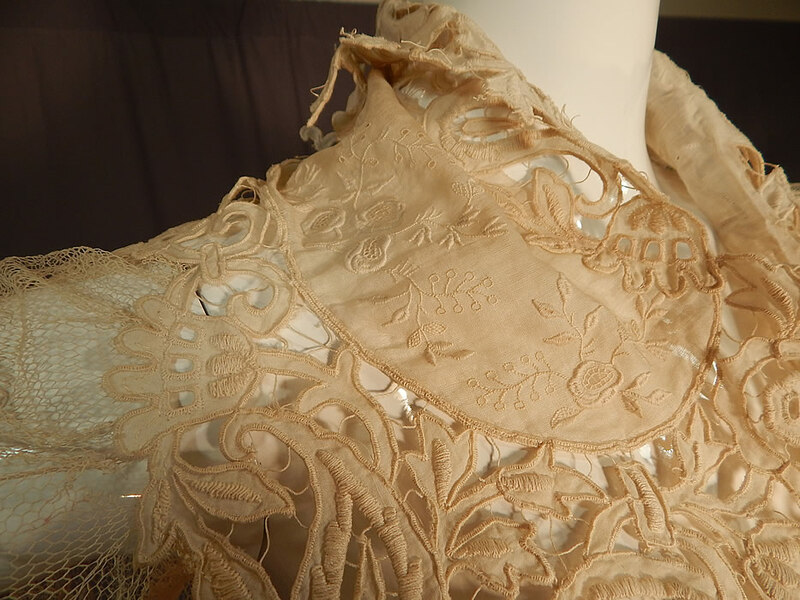 It is in good condition, has not been cleaned with a few faint tiny age spot stains. 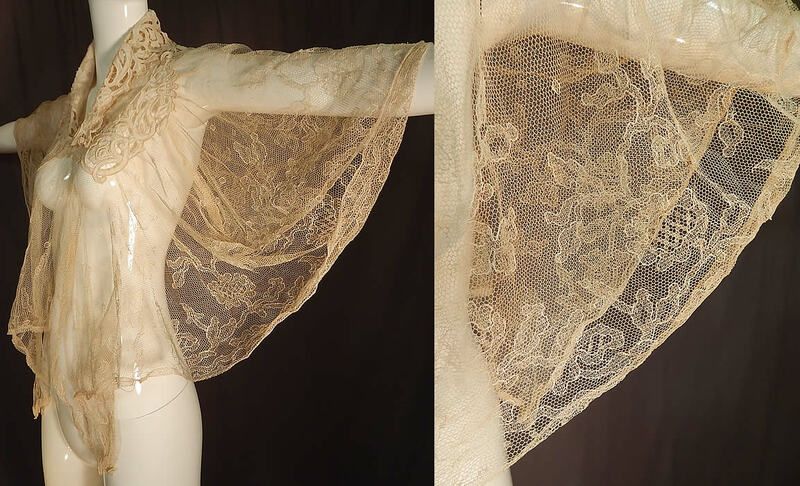 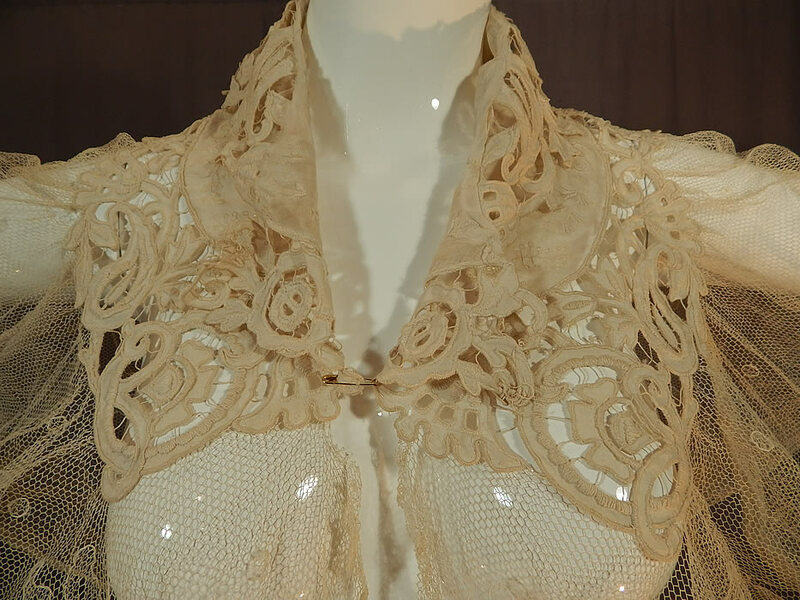 This is truly a wonderful piece of antique Victoriana wearable lace art!